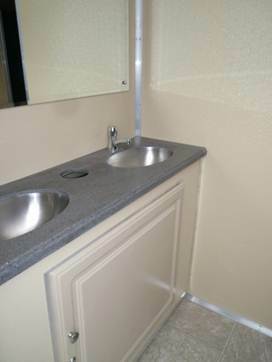 Our Freedom Series 11-station mobile restroom trailer is best described by one word: versatile. 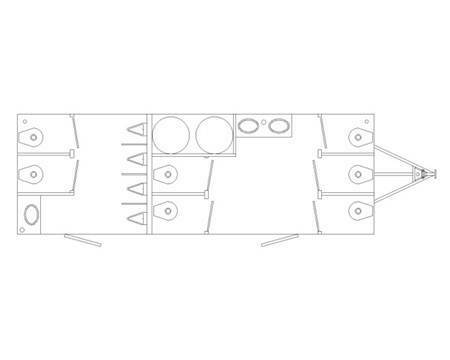 It can be dressed up for events, used commercially or for construction sites in Ohio, West Virginia, Pennsylvania, Michigan, Indiana or Kentucky. While made to look upscale and contemporary, the trailer is also built to withstand the heavy wear of today’s commercial sites. 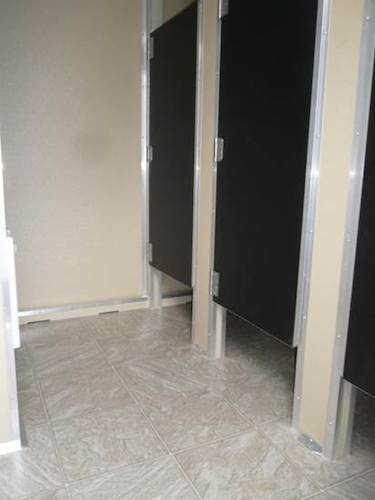 Features such as stainless steel sinks, heating and cooling, hot and cold running water and rubber flooring will ensure that anyone who uses this multi-purpose restroom trailer will feel comfortable. It requires three separate 20-amp circuits with an 110v standard electrical outlet and a water hose for the water supply. If no water or power supply is available, we can fill an on-board 300-gallon fresh water tank and provide a generator. 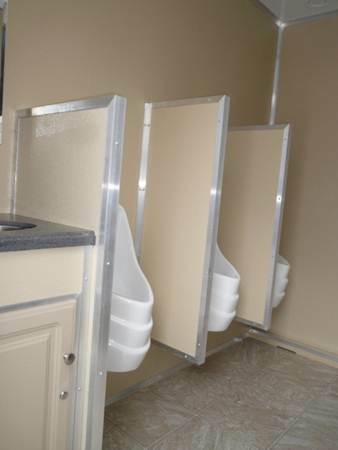 The waste tank can hold up to 1,000 gallons. 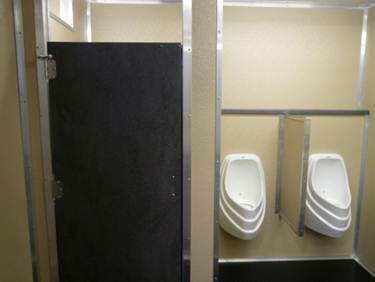 This 24-foot portable bathroom trailer is perfect for large parties of up to 800 or a similar sized work force at a commercial or construction site. 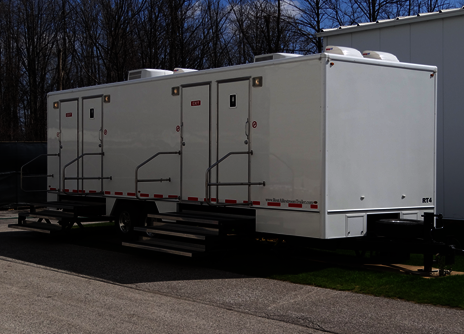 Contact us if you would like more information about the Freedom Series 11-station restroom trailer or any of our mobile restroom trailers.